This portrait adds to overall series because of Einstein’s genius. This series contains a few of the most prolific Jews that lived in the 20th century. The German-born theoretical physicist, is one of the faces of the greatest thinkers not only of the century in question, but also to have ever lived. He broke ground in the the field of physics with his general theory of relativity, which provided more insight on gravitation, along with implications of the possibility of black holes. Albert Einstein is arguably one of the most recognized and celebrated physicists to ever exist. 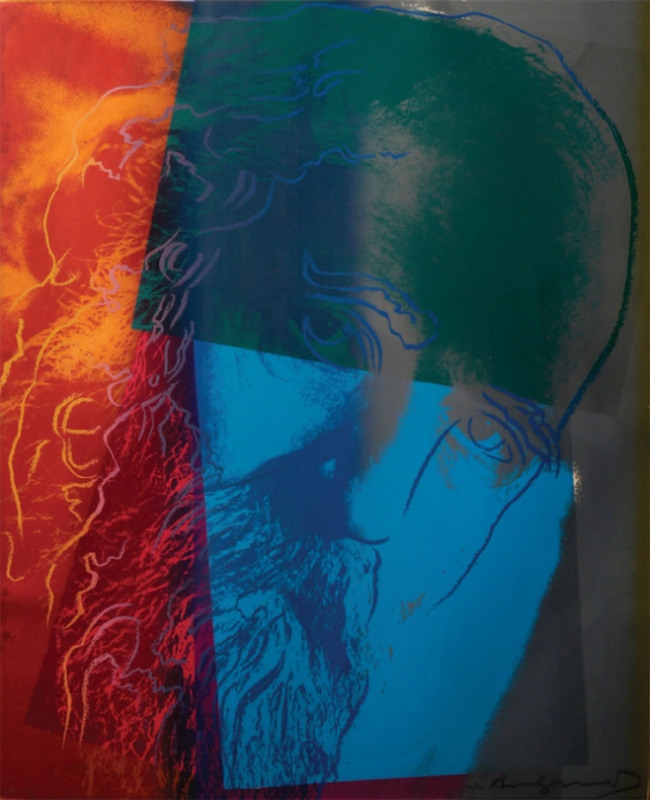 By depicting him in the Ten Jews series, Warhol diversifies his portfolio. Einstein was not just a famous face in popular culture, like some of Warhol’s other works.